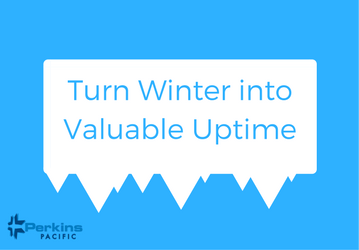 As the temperatures drop this winter, you can remain productive by making sure all of your equipment is ready when demand picks up again in the warmer months. To get prepared for spring, it may be time to replace your equipment’s engine with new Tier 3 replacement engines. Tier 3 engines are perfect for repowers because they offer users improved productivity and performance, but cost less to integrate than Tier 4 Final engines. Perkins Tier 3 engine design features a compact size that makes them perfect for integration into many types of equipment. Our 400, 800 and 1100 series offer varying power nodes ranging from 24 to 300 hp, meaning we can find a Tier 3 final engine that fits your application needs. Our Perkins Pacific support team will be with you every step of the way. Our custom application specialists and engine technicians are factory-trained and receive cutting edge engine integration training that ensures their knowledge of repowering machinery is ahead of the curve. Perkins Pacific’s extensive knowledge of engines will extend your engine life while minimizing your engine investment, offering the most cost-effective engine solution. This is the best time of year to take advantage of economic pricing for your Tier 3 engine repower. If you are interested in making the most of your winter, click here to learn more about integrating a new Perkins Tier 3 engine into your equipment.